As states continue to decriminalize the use of marijuana, and medical marijuana becomes a more and more prominent alternative to traditional medication, the MMJ industry in the U.S. continues to grow at rapid rates. As in other, more mainstream industries, MMJ businesses are turning to the internet and creating e-commerce websites, using social media, online advertising and other online assets to generate new leads by engaging and attracting new medical marijuana patients and pot users online customers. Online affiliate programs or affiliate marketing is becoming an increasingly popular way for medical marijuana businesses to build or grow a presence on the internet, and increase online sales and conversion rates. The MMJ affiliate marketing phenomenon is creating opportunities for bloggers, webmasters and affiliate marketers to make serious money online by becoming medical marijuana affiliates and driving, leads and ultimately sales to businesses involved in the medical marijuana industry. Below are just a few MMJ affiliate programs that can generate serious cash for those who sign up as affiliates. Got Vape is a pioneer in medical marijuana vaporizers, vaporizer kits, vaporizor accessories, and practically everything related to vaporizers. Got Vape has recently launched an online affiliate program that allows MMJ affiliate marketers to earn money by making a commission off of referrals. The Got Vape affiliate program provides Got Vape affiliate publishers with text links, custom banner ads that link to the Got Vape website and other tools help you affiliates increase earnings. Join the medical marijuana social network and earn money as a marijuana affiliate when you refer people to the MMJ social network and they upgrade their accounts. Make money as a Grasscity affiliate by displaying custom links and banners to purchase Pipes, Bongs, Vaporizers, Rolling Papers, Hookahs and other MMJ smoking accessories. More medical marijuana affiliate programs are sure to come as US states continue to legalize the use of marijuana for medicinal purposes. I'll be sure to update the list as I come across more medical marijuana affiliate programs that look like they might be worth writing about. As decriminalization continues globally the business of growing is set to see explosive increase of farmers entering the market. 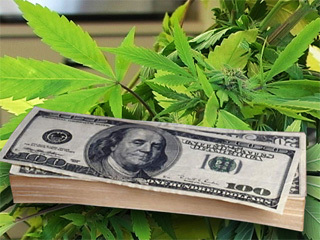 Savvy Cannabis related affiliate marketers are sure to ride the wave... www.myweedseeds.com is offering a multi level program which pays great commissions 10 levels deep and they pay regularly I highly recommend this program. I want to join a medical marijuana company, is there any out there that will pay me a percentage to advertise their strain online? Enoc, what website are you offering advertising on?